The secret weapon of Dior makeup artists: a radiance-boosting brush to conceal dark areas, sculpt and highlight facial contours like a professional. No more creasing!!!!! Full coverage of my intense blue veinsunder my eyes, love it, REALLY. I tried numerous products until this one and its the best! You don't feel oily at all and the concealer stays throughout the day. Reminds me of the YSL Touche Eclat. I love how easy and portable it is! i like this highlighter. similar to the ysl touche eclat. blends in nicely and looks natural. first off, i had been using this as a concealer instead of as a highlighter--which is wrong! 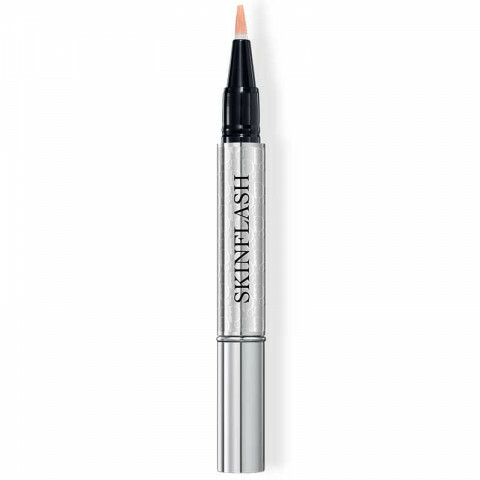 this is a great highlighting pen for the high points of the face. it gives a nice, subtle sheen that looks great on the brown bone and cheekbone.